In the casting process, the ‘pattern’ is the replica of the intended object (such as a machine part or metal wheel). 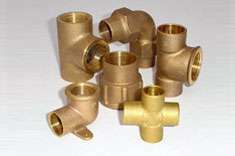 Patterns used in casting may be made of wood, metal or plastic. 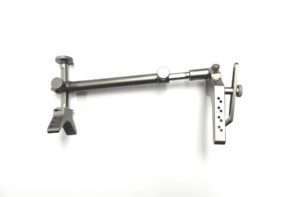 To produce a quality casting, it is essential that the pattern is carefully designed and constructed. Because the pattern determines the exact casting form, a casting can be no better than the pattern from which it was made. At Richmond Industries, we can either create a new pattern for you, or alter an existing one to fit your needs. At Richmond Industries, we pride ourselves in being a state-of-the-art non-ferrous foundry that has been creating casting excellence since 1959. The metals that we use include brass, bronze, aluminum, lead free and navy m (B61). Click here for a list of our most common alloys. 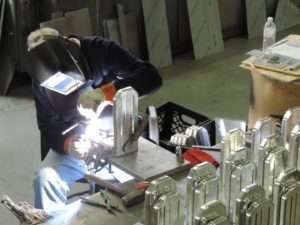 With more than 50 years of metal casting experience, Richmond Industries can assist its customers in determining the best process and materials for their parts based on size, complexity, and volume. 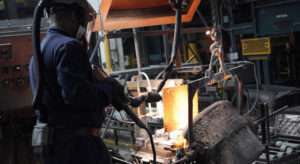 We specialize in sand casting, the most widely used casting process. This process involves heating up the alloy in a furnace, ladling and pouring it into the cavity of the sand mold, which is formed from a pattern. The sand mold separates along the parting line and the solidified casting part can be removed. The expandability of the sand molding process means it can be used with almost any alloy. Richmond Industries offers offshore casting services for customers seeking high volume, low cost investment castings, die castings, stamping, and forgings. Machining is a process that consists of abrading, cutting, drilling, forming, grinding, and/or shaping of a piece of metal or other material performed by machine tools such as lathes, power saws, and presses. While most machining involves taking away a portion of the part to make it perfect, machining can also be used to add material to a piece. Machining is part of the manufacture of metal products, but it can also be used for other materials such as wood, plastic and composites. Much of modern day machining is now CNC (Computer Numerical Control) where a computer controls the machinery used to create the finished part. Upon request, Richmond will work with the customer to develop the method, test fixtures, pressure level and exposure time for testing casting integrity prior to shipment. It is our aim to do whatever is necessary to ensure that our clients receive top quality work. Richmond Industries is equipped with a pressure test area with the capabilities of air testing to 100 psi and water pressure testing up to 5,000 psi. Other testing aspects can be developed upon request. 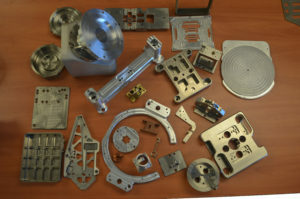 In addition to high quality casted parts, Richmond can manage your needs for a broad array of value added services, including machining, painting, polishing, plating, assembly as well as provide tooling. Third party inspection is also available upon request. 1043 days 12 hours 22 minutes 53 seconds.